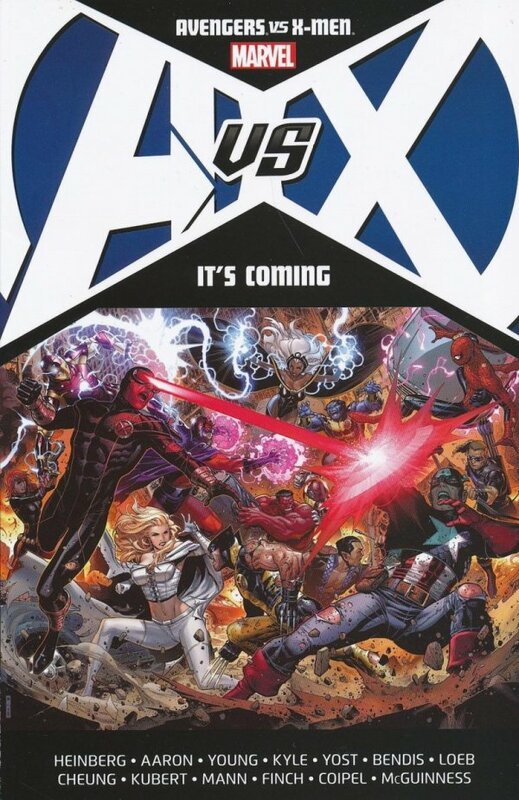 After The Scarlet Witch Brings The Mutant Race To The Brink Of Extinction, The Avengers, X-Men, Young Avengers And X-Factor Fight A Four-Way Battle To Determine Her Fate! The X-Men Are Split Down The Middle As Cyclops And Wolverine Go Their Separate Ways! The Seemingly Reformed Magneto Is Caught On Video Slaughtering Anti-Mutant Activists! Cable Returns From The Future With Hope - Who Just May Be The Key To The Mutant Race's Survival - So Why Does He Try To Eliminate The Avengers After Seeming Sacrificing Himself To Ensure Her Safety? A Gruesome Discovery In Deep Space Might Provide The Answer - Even As It Pits The X-Men And Avengers Against One Another In A Head-To-Head War! Collecting Avengers: The Children's Crusade #7, X-Men: Schism #5, Magneto: Not A Hero #1, X-Men: Second Coming #1, House Of M #8, Avengers: X-Sanction #1 And Material From Point One #1.